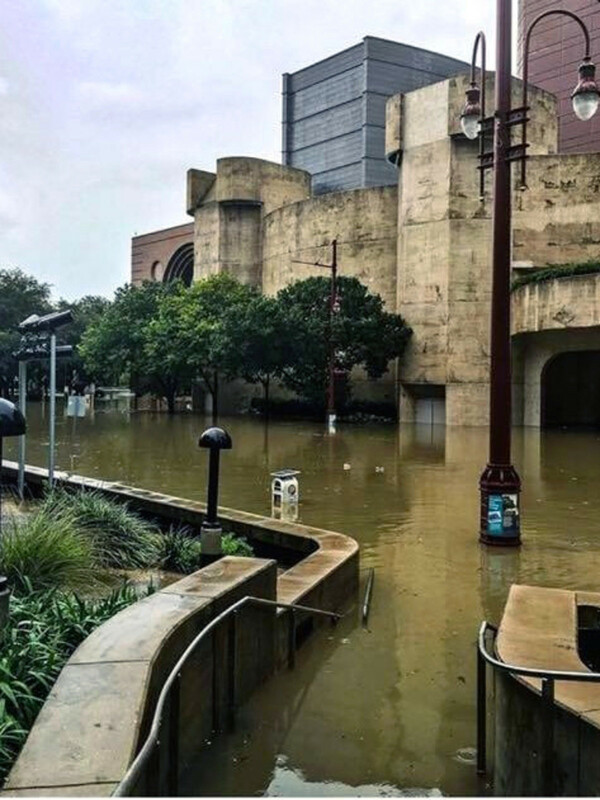 Hurricane Harvey might have stormed through downtown Houston’s Theater District causing still untold damage, but the Alley Theatre is poised to make a dramatic second act comeback. Water flooded the Alley’s lower level Neuhaus Theatre, adjacent Mitchell Lobby, prop storage and basement dressing rooms. In 2001, Tropical Allison also caused flooding into the Neuhaus space, but Alley officials state Harvey’s waters reached the Neuhaus ceiling, passing the high-water mark of Allison. The rising waters also damaged the electric system for the building and power is offline for both the Neuhaus and upstairs Hubbard Theatre, as well as the administrative offices. Fortunately, the Hubbard Theatre and Long Lobby did not sustain any damage. 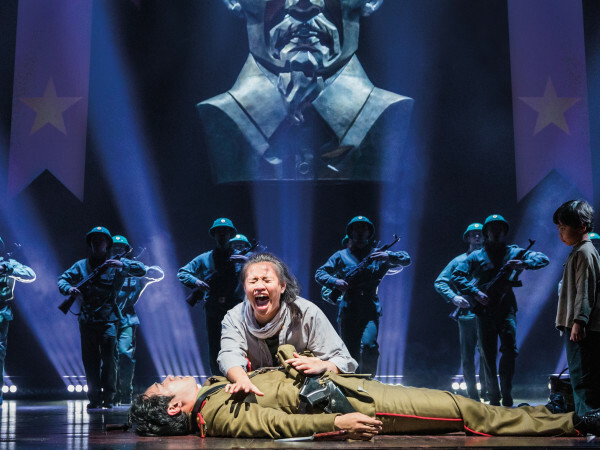 And rally they quickly have with the announcement that the season opening play, the world premiere Describe the Night, a story of Russian intrigue by acclaimed contemporary playwright Rajiv Joseph, will go on as scheduled beginning September 15. There will be a venue change of as the production moves to the University of Houston’s Quintero Theatre located at 3351 Cullen Boulevard. 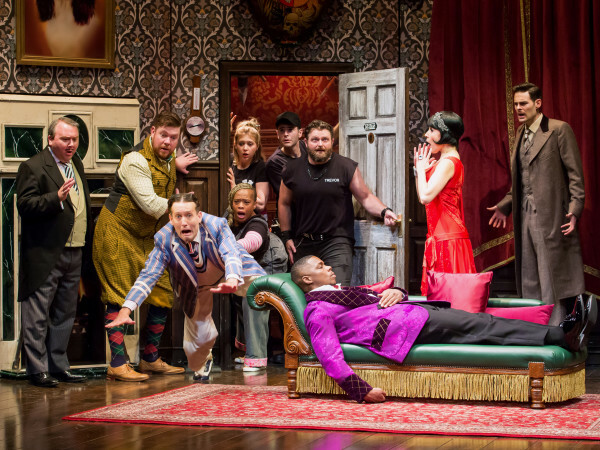 The company perviously performed their 2014-2015 season in the UH Wortham Theatre while the Alley’s downtown home went through a $46.5 million renovation. The Alley’s second production this season and another world premiere, will be Cleo, a behind-the-scenes dramatization of the making of the Elizabeth Taylor and Richard Burton film, Cleopatra. The play by Pulitzer Prize-winning writer Lawrence Wright was scheduled to debut on September 29 in the Hubbard Theatre. Cleo rehearsals will proceed as the Alley team determines whether they can stage the production in the Hubbard or will need to make a location change. The Alley nurtured both Cleo and Describe the Night during their Alley All New Festival as part of their new works initiative. The double world premieres had all the makings of a blockbuster performing arts event for the fall season, and the Alley seems determined to ensure these shows must and will go on. The Alley's administrative offices and box office remain closed and online ticketing is currently unavailable. Patrons with tickets to Describe the Night and Cleo will be contacted when normal business operations resume.